الخيار الأفضل للحصول على المتعة والاسترخاء, Shoal Bay Beach Club Apartments يقع في منطقة خليج نيلسون في بورت ستيفنس. يمكن من هنا للضيوف الاستمتاع بسهولة الوصول إلى كل ما تقدمه هذه المدينة النابضة بالحياة. يوفر الفندق بفضل موقعة الجيد وصولاً سهلاً إلى أهم معالم المدينة.
. كما يقدم Shoal Bay Beach Club Apartments الكثير من الخدمات لإغناء رحلتك في بورت ستيفنس. يقدم هذا الفندق العديد من الخدمات الكفيلة بإرضاء أكثر الضيوف تطلباً. استمتع بوسائل الراحة الراقية في الغرف أثناء إقامتك هنا. بعض الغرف تتضمن غرف لغير المدخنين, مكيف هواء, مكتب, ميني بار, شرفة/ تراس لمساعدتك على استعادة طاقتك بعد يوم طويل. يقدم الفندق مجموعة رائعة من الخدمات كمثل مسار جولف - ضمن 3 كم, حمام سباحة خارجي, رياضات مائية (غير-آلية)، لجعل إقامتك تجربة لا تنسى. اكتشف مزيجاً ساحراً من الخدمة الاحترافية والخيارات الواسعة من وسائل الراحة والمتعة في Shoal Bay Beach Club Apartments. Please note that reception hours are from 7:00 am – 10:30 am and 2:00 pm - 6.30 pm daily. There are charges applied for guests checking in outside these hours, please contact the hotel directly for the unscheduled check in. يرجى ملاحظة أنه يتم إجراء تسجيل الوصول واستلام المفاتيح على العنوان التالي: 47 Shoal Bay Road، 2315 Shoal Bay سيطلب من الضيوف عند تسجيل الوصول إظهار بطاقة هوية تحتوي على صورة شخصية وبطاقة ائتمان. يرجى ملاحظة أن جميع الطلبات الخاصة ستكون رهنًا بالتوافر وقد تستلزم تكاليف إضافية. يرجى إبلاغ Shoal Bay Beach Club Apartments بشكل مسبق بوقت وصولك المتوقع. بإمكانك استخدام حقل الطلبات الخاصة أثناء عملية الحجز أو يمكنك التواصل مع مكان الإقامة مباشرةًً من خلال معلومات التواصل المذكورة في تأكيد الحجز. 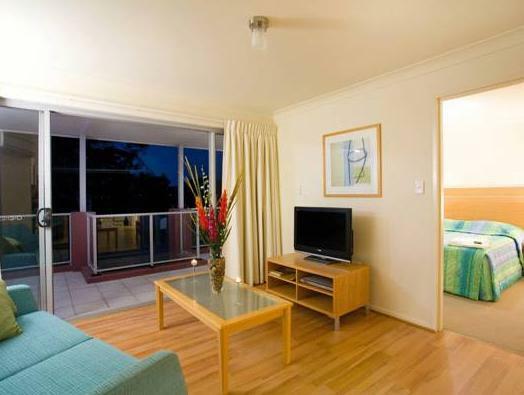 We booked a 2 bedroom apartment at Shoal Bay Beachclub Apartments staying for 1 night, primarily based on the price being one of the cheapest available in the area for a 2 bedroom. Living area was quite small and more what you would expect for a 1 bedroom apartment, and as previous reviewers have said the couch only seats two. Kitchen was well equipped with most things you would need to cook a full meal, and there was a full laundry with washing machine and dryer. Linen/towels and enough coffee, tea, sugar and detergent was supplied for one night, if you require more I think you can ask at reception. Rooms wer equite small and not much room for anythign else besides the beds but each had a full built in closet.Bathroom only had a shower and was very small. We arrived at 12pm and reception was unattended, we rang the owner and she advised that check in was not till 2pm which we weren't aware of. NOt a big deal as we just went to Shoal Bay shops nearby for lunch. Location is ok but we got an apartment facing the main road and itw as VERY noisy with the doors open so would need to keep them closed at night. So in summer you would need to have air con on and keep bedroom doors open as air con is only in living room. All in all ok and good value for a short stay but I wouldn't stay there for a week. We really enjoyed our stay. Every request was greeted with a smile. The room was clean and comfortable in a peaceful setting. the co-owner is very smiley and friendly despite us arriving late. However, not happy that the wooden floor was sticky and beds were too soft. Apartment was a tad small. Otherwise, not too bad. Excellent service and easy to follow directions. WE loved the apartment and thought it well set out. Our only concern after reading booklet was the chance of setting off the fire alarm. The exhaust fan in the bathroom didn't appear to be working so our worries were exaserbated. The booklet could have included menus of local restaurants. Just a thought. We had trouble finding motel due to a mistake on google maps that put it in different place, but asked around and found it OK, obviously. Overall a wonderful stay and I would recommend it to all. Good Location, very Clean and well maintained. My stay at Shoal Bay Beachclub apartment was great. It's location is quite good which is very close to the tomaree head and as well on the way to fingal bay. The lady at the reception was very helpful. She helped us in getting a car hire as without a car our trip would have been just a waste. Short 3 minute drive to the beach, comfortable beds, clean bathrooms, well equipped kitchen, spacious balcony, gym facilities. No sea view as stated on website. Small swimming pool. 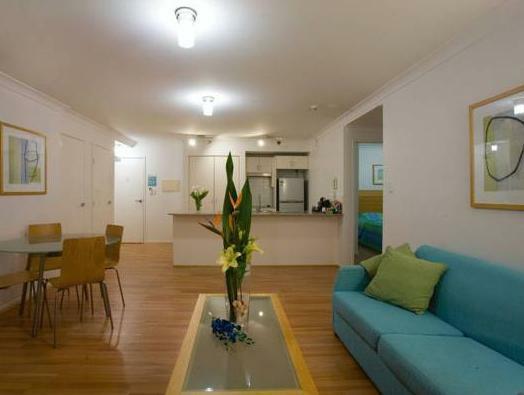 A short drive from the happening beach CBD area with lots of restaurant and shops. 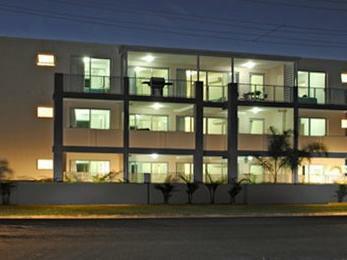 Fully equipped with home appliances and furniture. Good balcony space with dining tables and outdoor cooking grill enhance the total experience. Near to hospital thud making travel ease of mind. Good service and late check in is easy. Helpful reception put a further smiles to the stay. our stay was great the place has all the things you need,its like living in your own home,great for a big family,would be nice if there was a TV in the master bed room,great shower,good water pressure, the hotel is about 10min out of town,just remember to book a restaurant for dinner or you will not eat. The room layout was good, the benches, cupboards and room was very clean, the room looked new. The cooking utensils and plates were also very clean. The only down sides being the road noise (being on a major road) and the distance to the shops. The shower was difficult to regulate the temperature on as it kept varying from hot to cold and did not spray properly.